I’m glad I wasn’t on Centre Court on Sunday afternoon. Of course it would have been fun to watch Bjorn “Berdych in four” Borg eat his words, as the rampaging Rafael Nadal claimed his second Wimbledon title in three straight sets. It wasn’t a great match — there were way too many unforced errors and not enough screaming Nadal forehands. But watching on TV, it was sometimes hard to figure out whether the BBC thought this was a major tennis match, or just another mass photo opportunity for the celebrity hounds of the tabloid press. So what can an event that’s already played host to the Queen and David Beckham do for an encore? The answer, it seems, is to pack the rafters of the 15,000-seater Centre Court with as many famous people as you can find. It wasn’t just the old stagers like Sir Cliff Richard, minor royals like Lord Freddie Windsor, or the usual sprinkling of sports stars, including Formula One’s Jenson Button, who caught the attention of the roving cameras. Even actor Colin Firth, seated somewhere up near row Z, suffered the indignity of having a lens shoved up his nose for the entertainment of the watching masses on TV. In fact, the commentators were so busy trying to keep up with the unfolding celebrity action in the stands, that they barely had time to describe the main event. This, in case you missed it, involved Tomas Berdych trying to pit those huge flat groundstrokes and booming serve against Nadal’s enviable repertoire of spins, slices and dogged retrieving. He failed. The best (off-court) moment was undoubtedly the sight of “Tiger” Tim Henman’s dad yawning in his seat. “Nothing to do with our commentary, I hope”, chirped the terminally bland Andrew Castle in his one insightful moment of the afternoon. Unlike the other Slams, Wimbledon doesn’t allow the atmosphere of tennis’s most revered event to be sullied by a lot of crass commercialisation. There are strict rules about how much space on the players’ all-white attire can be given over to advertising. But I suspect this is all designed to ensure that nothing competes with the oversize logos of the tournament’s official outfitter, Ralph Lauren. The rather discreet logo that was once synonymous with the overpriced polo shirts worn by American bankers has been well and truly supersized. 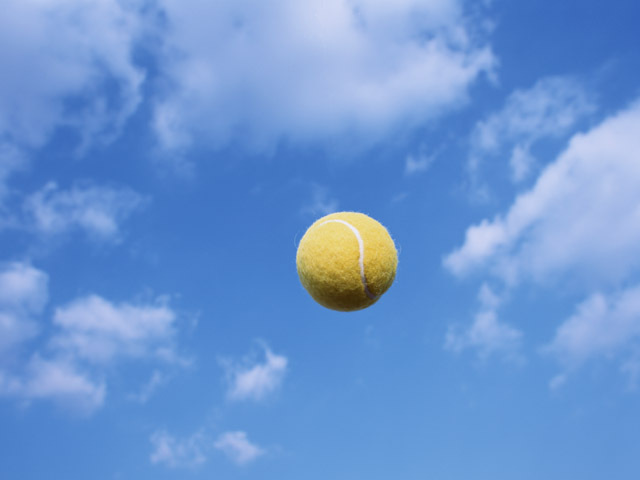 If the BBC doesn’t show “commercials”, then why were we subjected to so many lingering close-ups of that logo — prominently displayed on the chests and wristbands of all the Wimbledon ball girls and ball boys? John McEnroe’s tirade during the Murray vs Nadal semi-final about tennis players being “badly paid” was bizarre and ill-judged. Earth to McEnroe: we non-tennis playing mortals are still feeling the effects of a very severe recession. 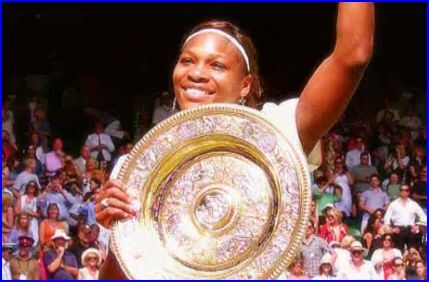 Total prize money at Wimbledon was up 9.4% on 2009. I think he was trying to make a point that other sports pay their stars more, but he’d be better off keeping his trap shut on the issue of remuneration. Is it professional tennis or just a really dull episode of ER? Medical time-outs are in danger of turning the game into a total farce. So it was no great surprise to see Robin Soderling march up to the umpire’s chair and demand treatment for a blistered toe during the third set of his quarter-final with Nadal. The trainer had to be summoned and a delay of almost ten minutes ensued. Commentator John Lloyd vented his displeasure by repeating “this is absolutely ridiculous” throughout the duration of this unscheduled break. Oops, Roger Federer has tumbled to number 3 in the rankings, following his defeat by Tomas Berdych in the quarter-finals. More significantly, it seems to be the end of the long-running affair between the Swiss and those journalists who condemned his apparently ungracious reaction to being dumped out of the tournament. Well, it’s all about as surprising as the news that Andy Murray doesn’t care about the England football team, or the crushing realisation that Anna Kournikova is obsessed with her looks. Roger’s always been more hubristic than humble, but I wouldn’t bet against him turning the tables on his critics. Unbelievable. No, really, it is unbelievable how many times I’ve heard that word over the last two weeks. Improbable victories, unexpected defeats, extravagant shot-making — they can all be summed up in just one, not so well-chosen word.